The symbiotic relationship between remoras and sharks is fruitful only from the remoras. The small fish “hangs” on the belly of the shark, eating the leftovers and benefiting of “free” transportation. However, there is a risk involved, as the sharks don’t have any problems in eating their unofficial “parasites”. 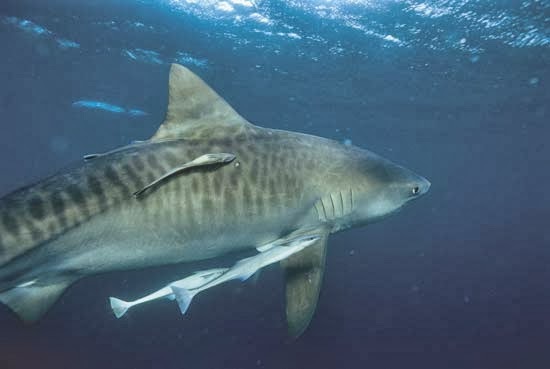 One benefit of the shark is that it will always have a clean belly with a remora hanging of it, but this is not useful for the shark.